Ahlen, July 2017. 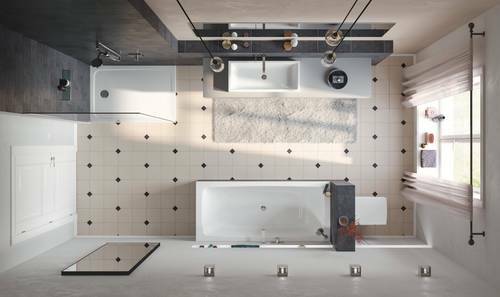 – Kaldewei’s Cayono model family is the perfect solution for anybody who values design in the bathroom but does not want to overstretch their budget. 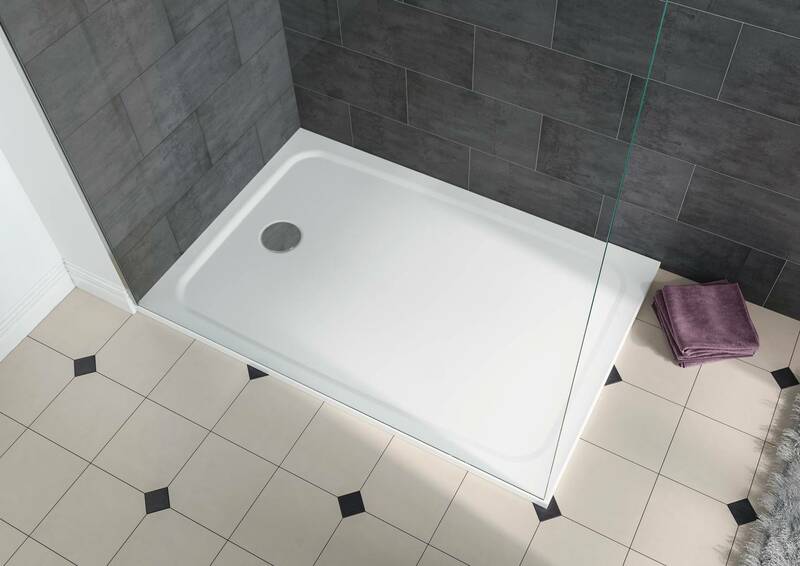 The new Cayono Duo bathtub and floor-level Cayonoplan shower surface are particularly suitable for families who want maximum quality and comfort at a low cost. Kaldewei’s Cayono model family is, however, equally of interest to housing and hotel developers as an exceptionally cost-effective option for bathroom design that offers uncompromising quality and extremely good value for money. 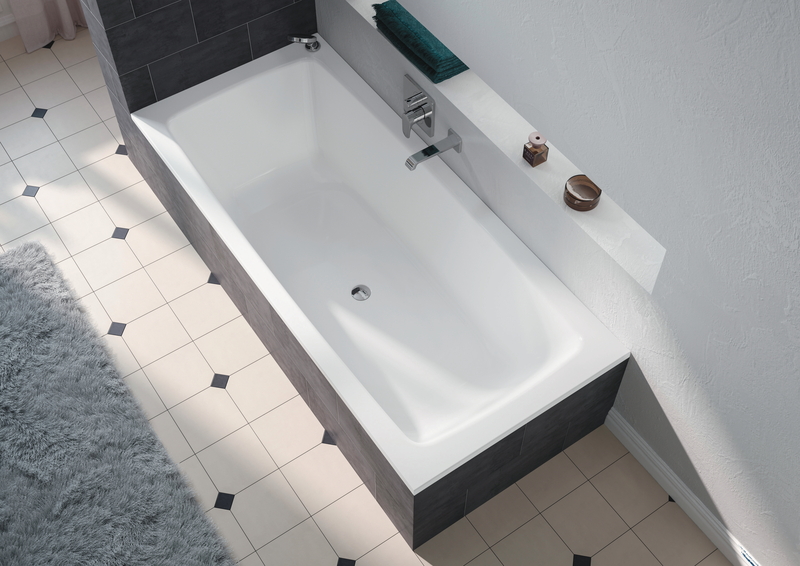 The new Cayono model expands the popular Cayono bathtub family, adding a Duo bathtub with two comfortable backrests. With a spacious interior and centrally-positioned waste and overflow outlet, there is plenty of space, for two people. 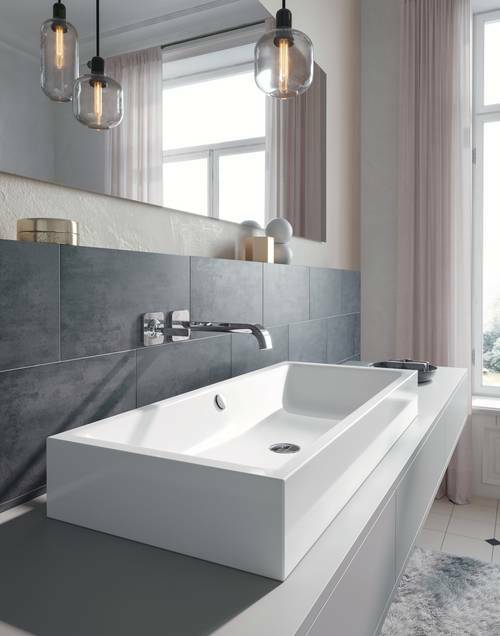 While priced only slightly higher than a standard bathtub, the Cayono Duo offers enormous added value thanks to these additional comfort features, making this Kaldewei bathtub an exceptionally cost-effective investment that quickly pays for itself. The Cayono Duo is available in two sizes – 170 x 75 cm and 180 x 80 cm so it is ideal for many different room situations. In terms of style, material and colour it perfectly complements another new product, the Cayonoplan shower surface. The enamelled Cayonoplan shower surface is available in 19 different sizes thus adapting to a wide range of different structural requirements. The rim height is designed in such a way that all sides of the shower surface can be placed absolutely flush on the floor. This means that with adequate height, floor-level installation is possible. 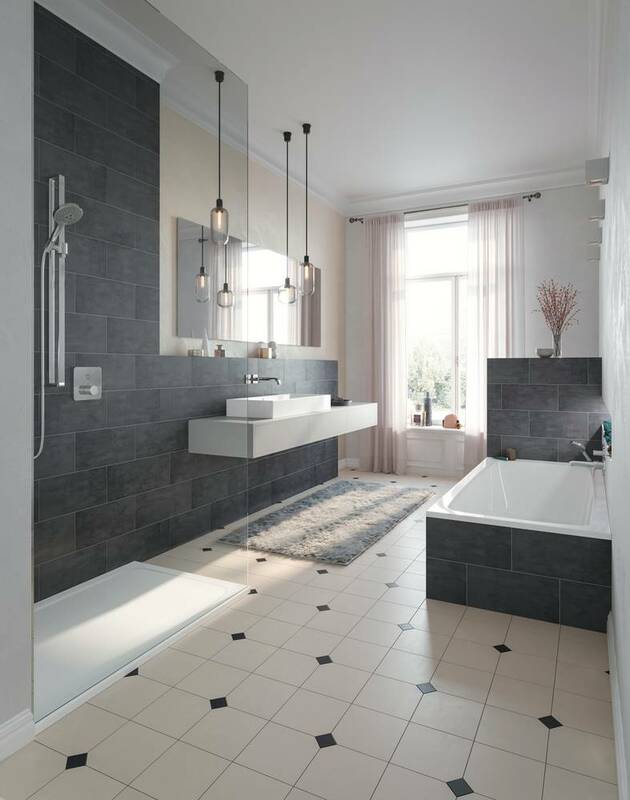 Where this cannot be achieved – as is often the case in older bathrooms – the shower surface can be installed directly on top of the floor tiles. Plumbers will find the installation exceptionally quick and easy thanks to the ultra flat pre-assembled tray support that was specially developed for the new shower surface. At the same time the Cayonoplan’s laterally-positioned waste outlet offers a number of advantages: firstly, it ensures a spacious standing area, guaranteeing maximum showering comfort; secondly, the Cayonoplan can be easily and inexpensively installed in place of an obsolete bathtub because, thanks to the waste outlet’s position, no complicated shifting of the bathroom waste pipe is required –a major plus when it comes to refurbishing older bathrooms. For added diversity the Cayonoplan is available in all matt shades of Kaldewei’s Coordinated Colours Collection. In addition, it can optionally be refined with the virtually invisible anti-slip surface coating, Kaldewei Secure Plus. With their classic design the Cayonoplan and Cayono Duo complement each other perfectly and, thanks to the use of a single material and coordinated design, provide more harmony in the bathroom. 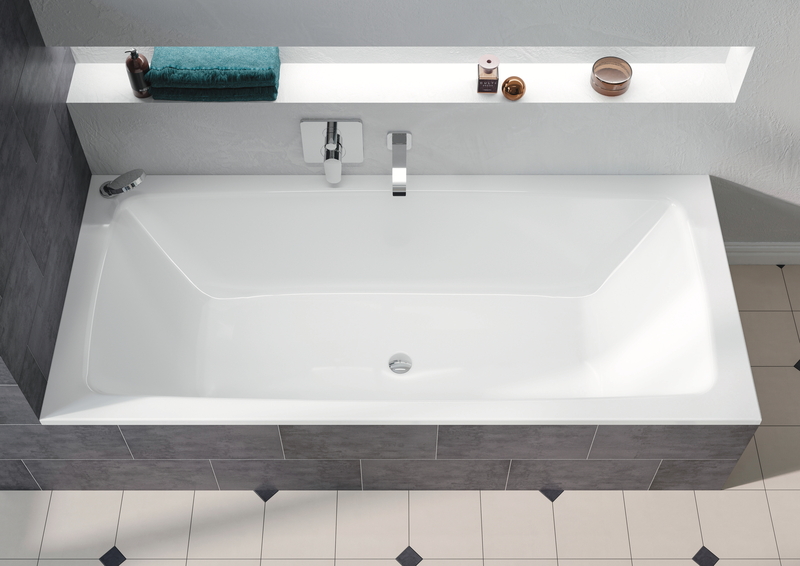 In keeping with this thinking, the Cayono models pair excellently with the diverse washbasins in Kaldewei’s Puro line. Added value thanks to additional comfort features: the new Cayono model expands the popular Cayono bathtub family, adding a Duo bathtub with two comfortable backrests. With a spacious interior and centrally-positioned waste and overflow outlet, there is plenty of space for two people. Since it represents such attractive value for money, the Cayono Duo is the perfect solution for price and design-conscious builders and modernisers. The enamelled Cayonoplan shower surface is available in 19 different dimensions so it adapts perfectly to a wide range of structural requirements. 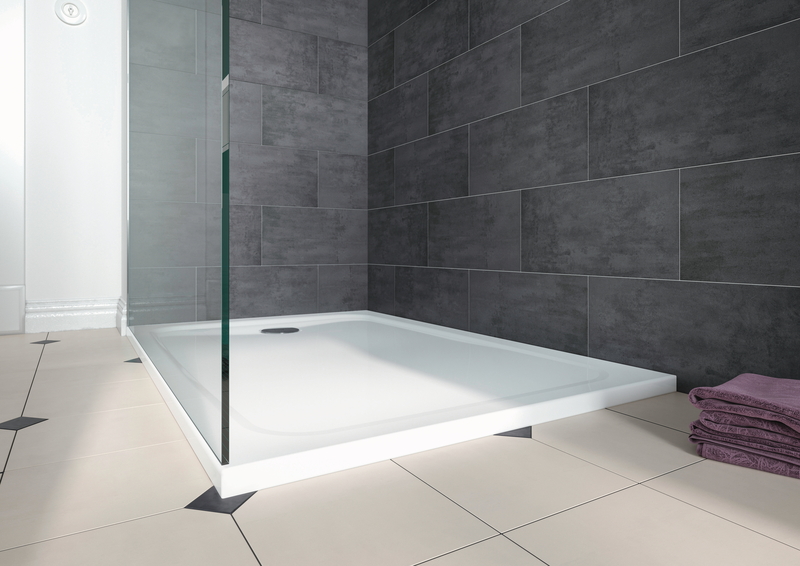 The rim height is designed in such a way that all sides of the shower surface can be placed absolutely flat on the floor. This means that with adequate height, quick and easy floor-level installation is possible. The Cayonoplan shower surface and Cayono Duo bathtub allow for harmonious design and the use of a single material in the bathroom. In keeping with this, the Cayono models pair excellently with the diverse washbasins in Kaldewei’s Puro line.